When Robert Satcher says his job is out of this world, it’s not just the entusiastic talk of an overly dedicated company man. 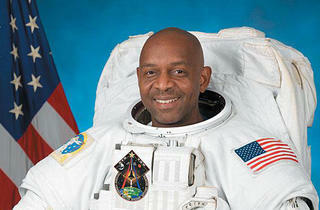 An orthopedic oncologist at Northwestern University’s Lurie Cancer Center, Dr. Satcher switched his focus from spines to space when he became the first orthodpedic surgeon astronaut this past fall. After completing his first mission—an 11-day trek 200 miles outside of Earth’s orbit to deliver supplies to the International Space Station—on November 27, the 44-year-old surgeon took a leave from Northwestern to investigate whether he’s up for another out-of-orbit flight and slowly get reacquainted with gravity. Satcher began the two-year basic training program in early 2004 alongside other physicians, engineers, teachers and pilots who also made the NASA cut. 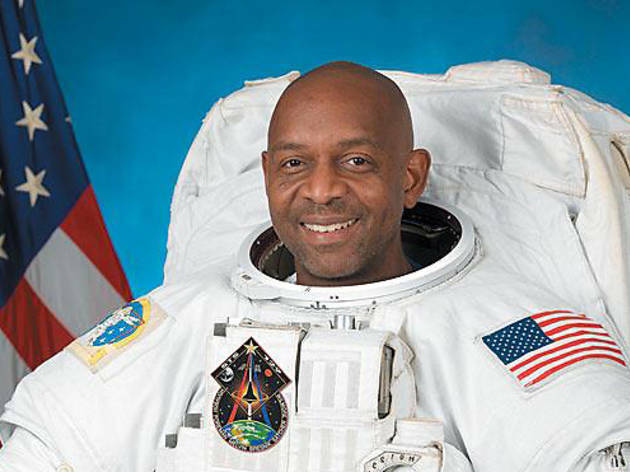 After learning the fundamentals of maneuvering a 300-pound suit in zero gravity, Satcher was assigned to the space shuttle Atlantis and began learning skills specific to his mission, including how to operate and repair two of the station’s exterior robotic arms. Satcher, who blasted off with no fear on November 16, reports the mission went smoothly and the experience was “unbelievable beyond my expectations,” so much so that he’s doing outreach projects for NASA and hoping for a spot on another mission.